The H.Upmann Robustos LE 2012 is an elegant and rich smoke, of Robusto format, 4.9” (124mm) long, of 50 ring gauge, and comes in a 25 cigars box. 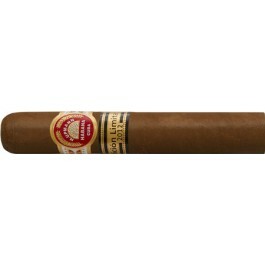 H. Upmann Robustos Limited Edition 2012 comes in the classic H. Upmann labeled boxes of 25 cigars. Rich in woody flavor on a medium tobacco, this Robusto will appeal to most smokers.